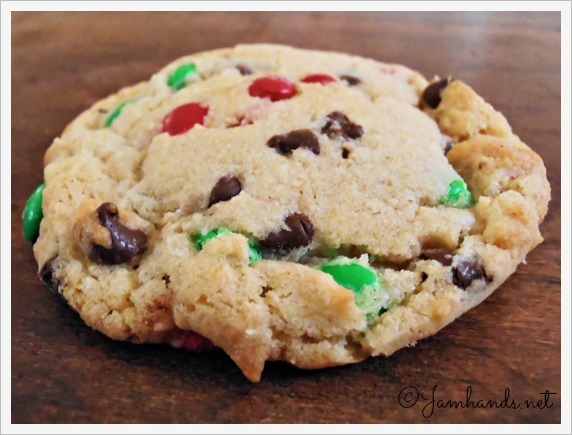 M&M Cookies, while not exactly a traditional choice for a cookie tray, are tasty and loved by many. 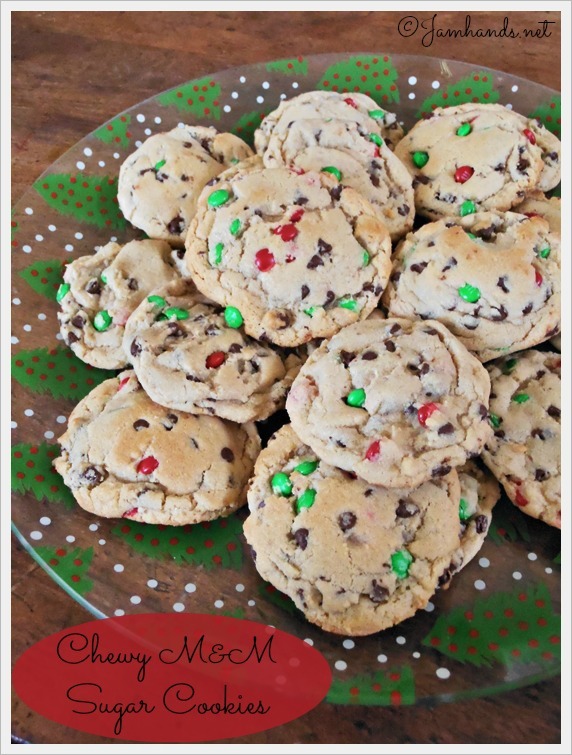 Using red and green mini M&Ms gives them a holiday touch. In a pinch I have used cheesecake flavored instant pudding in place of the vanilla and it turned out delicious. Enjoy! 1. Preheat oven to 350 degrees F. and line a large baking sheet with a silpat liner or parchment paper. 2. In a large mixing bowl cream your butter and sugars until well combined. Add your egg and vanilla mixing to combine. Add your flour, pudding mix, baking soda and salt, stirring to combine. Add chips and m and m’s stirring to combine. 3. With a medium cookie scoop, place dough 1 inch apart from each other. Bake for 10-12 minutes until cooked through. Let cool on cookie sheet for 10 minutes before transferring to cooling rack. Enjoy!